The street door opened and Shelly came inside. The waiter showed up as soon as she sat down, and we got our orders out of the way: two roast beef sandwiches, another Bass ale for me, a pint of Black-and-Tan – half Guinness and half lager – for her. After he drifted off, Shelly brushed a hand absently through her fine, short-cropped hair and looked at me in a frankly appraising way. She was dressed in a tailored three-piece wool suit and a blue silk blouse; the outfit, and some carefully applied make-up, made her look less hard-edged than she had last night. And even more attractive. observations: My good blogging friend Col, of Col’s Criminal Library, sent me this one ages ago. I’ve been doing some clearing of the book mountains, and this is one of the treats that turned up, and Col might see it as a much-needed corrective to the outbreak of Mitford detail in yesterday's entry. Twospot has a premise that may not be unique, but is certainly one I have never come across before in many years of reading: a specific kind of mash-up of characters and writers. Both the authors write (or wrote in the case of Wilcox, who died in 1996) completely different series detective books: Pronzini with his Nameless PI, Wilcox about a San Francisco cop called Lt Hastings. For this book, they got the two fictional characters to co-operate in solving a crime, with the two authors (as far as I can tell, this isn’t spelled out) contributing alternate sections, each from the POV of one of the investigators. The result is entertaining and good fun: the San Francisco setting is very well realized. The first of Armistead Maupin’s Tales of the City books appeared the same year, and it’s interesting to compare the books and watch how the city is changing, as the gay sensibility becomes more important. The book took a highly unexpected (to me) turn into political matters – I certainly did not guess where the plot was going. Another strand deals with a winery outside the city, a family business going wrong - always a favourite in mystery stories, and again nicely done. The woman above works at the winery, but obviously has other tastes when it comes to drinking: I served many Black-and-Tans in my barmaid years, and a lot of beer to women, but very very few B&Ts were ordered by women. I have read Pronzini before, but hadn’t come across Wilcox: he also apparently created the TV character McCloud. Pronzini’s main character is always described as ‘Nameless’, but – as Col noted too - in this book the Wilcox-created oppo, Hastings, refers to him as ‘Bill’, presumably a deliberate in-joke. Read Col’s review of the book here. The three-piece suit above - from a fashion magazine of the time - is probably rather country-ish for the SF working woman, but it is definitely of the right era. Moira - Glad you enjoyed this one. It's not often that two different sleuths from two authors' series join forces like this, and I'm glad you thought it worked. And I agree; San Francisco is a great setting for a novel. And at that time, so much was happening there, too. That aspect of it sounds really interesting too. I'm glad you enjoyed this one Moria. I like San Fran as a setting. By the way, I did get some of the Maupin books years ago and couldn't get into the first, so got rid...did I miss much? I've read some other collaborative efforts - Ken Bruen and Jason Starr had a series of 3 that Hard Case Crime put out I think, titles escape me but they were fun; though by the third I was a bit weary. Only other one I can recall reading was something by Peter Straub and Stephen King - The Talisman, a totally different type of book to what I read these days. I love the Maupin books: they are oddities, they don't resemble other books, and they're not perfect, but they are real comfort reads for me, as well as living history of the 1980s and 90s. Maybe you should try them again one day? When you've finished all the Mitford books that is. Wow, this brings so many memories. This was published the year Glen and I got serious and moved in together. A few years later in Santa Barbara I introduced him to Pronzini's books. He is now the big Pronzini fan and has all of the Nameless series, including this book and a book where Pronzini collaborated with his wife. But to get back to the point here. Which is this book. Since I have read Pronzini's books into the 1990's I could definitely go back and read this one. Haven't tried Wilcox at all and would like to. 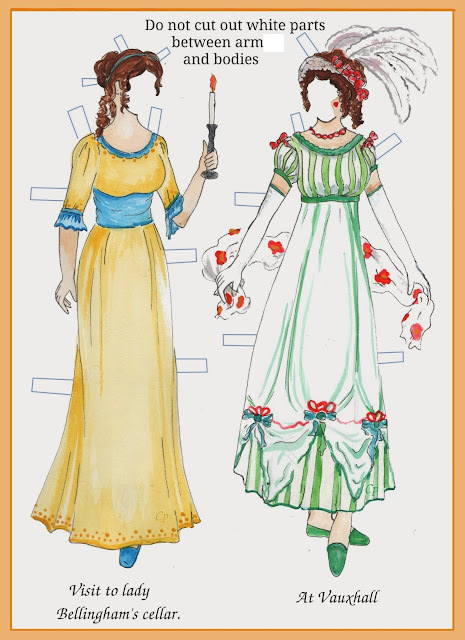 And I am very surprised that there are clothing descriptions, but then it has been a long time since I read Pronzini. Oh that's so nice Tracy, he's a part of your lives. All the Pronzini books are waiting for me. Sometime. And there wasn't much in the way of clothes descriptions, but I still found it a very visual book, I could imagine all the settings. I know, he turns up a lot doesn't he? Can so many fans be wrong...? Thanks for setting that straight Sergio - that's a combination of Wikipedia and me getting it wrong! I'm much better on my classic GAs than in this area.